The spell of finality, the dream of a seamless artistic whole, in which each element is perfectly integrated into the logic of a coherent, unified, and inevitable unfolding, haunts modern literature. Yet this dream, as Gary Saul Morson powerfully reminds us, is radically at odds not only with the most convincing philosophical and scientific accounts of human experience, but also with our own deepest impulses to resist the pressures of simplistic determinism. That narratology has powerful ethical implications is not a new realization. In their different ways, Wayne Booth and Paul Ricoeur explicitly, and Gérard Genette implicitly, have already made this clear. But Morson's Narrative and Freedom both extends and radically revises the distinguished tradition of narrative theory by grounding it in a rigorous triangulation of three critical concerns that hitherto were usually kept distinct. 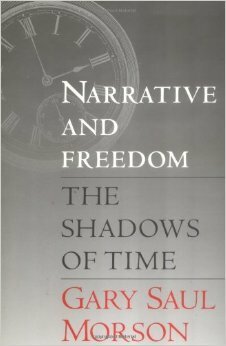 Morson offers an original account of the relationship among conceptions of temporality, schemas of narrating and "making sense" of experience, and ideological explanations of human nature and historical possibilities. What much of Western literature and criticism for the past two hundred years has seen as the telos of imaginative production, the ideal of wholeness and structured perfection, is shown by Morson to be deeply complicit with a dangerously utopian, because inherently totalitarian, eradication of contingency. Uniting close readings from a wide range of authors, but particularly the great Russian masters of the realist novel, Tolstoy and Dostoevsky, with a careful elaboration of his own theoretical models of how time can be imagined and represented, Morson fashions his new temporal ethics of narrative through a continuing dialogue with other disciplines, especially with the rapidly accelerating debate within both philosophy and science on the relationships between time and value. Morson carefully distinguishes between the ways in which narrative strategies either restrict or enlarge the possibility of human choice. The most common of the restrictive modes is "foreshadowing," with its tendency to present events as inevitably leading towards fixed, pre-ordained futures. In the inverted causality of foreshadowing, where beginnings are determined by their ends, "events are not only pushed, but pulled." At its extreme, foreshadowing implies a closed universe in which all choices have already been made, in which human free will can exist only in the paradoxical sense of choosing to accept or willfully and vainly rebelling against what is inevitable. This is the case whether the foreshadowing takes place at the theological, historical, or psychological level. Against foreshadowing, Morson coins the notion of "sideshadowing." Sideshadowing champions the incommensurability of the concrete moment and refuses the tyranny of all synthetic master-schemes; it rejects the conviction that a particular code, law, or pattern exists, waiting to be uncovered beneath the heterogeneity of human existence. Instead of the global regularities that so many intellectual and spiritual movements claim to reveal, sideshadowing stresses the significance of random, haphazard, and unassimilable contingencies, and instead of the power of a system to uncover an otherwise unfathomable truth, it expresses the ever-changing nature of that truth and the absence of any predictive certainties in human affairs. Sideshadowing, whether expressed in the openness of novels like War and Peace, in political theories committed to prosaic, anti-utopian principles, or in the ways we narrate our own lives to ourselves, is shown to be at the core of an open, contingent, and pluralistic sense of human possibility and freedom. If Narrative and Freedom demonstrates the enormous gains of a genuinely comparative exploration comparative not only among languages but also among theoretical disciplines Haun Saussy's The Problem of a Chinese Aesthetic brilliantly applies a deconstructive framework to question the very possibility of comparative East-West poetics. Saussy raises the most basic questions of our field with exemplary precision. Are fundamental tropes such as allegory, metaphor, and metonymy really translatable in any useful sense between Chinese and Western aesthetics? His book centers on an illuminating interrogation of various traditional modes, both Eastern and Western, of reading the Confucian Book of Odes. 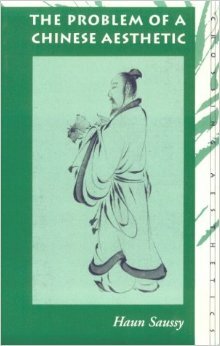 But it is as skeptical of skepticism as it is of facile cultural relativism, and expertly untangles the importance of China in Western philosophical writings (especially in Leibnitz and Hegel) to illuminate theoretical issues of linguistic, cultural, and poetic comparisons among civilizations. If, on the one hand, many of the basic Western tropes seem not to fit the nature of Chinese poetry, it is equally true that even to claim one has recognized these fundamental differences presumes one "knows enough about 'Western civilization' to have seen around it and know its limits." Relativism, that is to say, "requires making even stronger epistemic claims than does naïveté." Paradoxically, while making explicit the very gap between Eastern and Western aesthetics, and by forcing us to confront the evasions and simplifications of earlier attempts to bridge this gap, Saussy inaugurates not so much a silencing of the discourse, but rather a new, and altogether more lucid, awareness of its limiting conditions and real possibilities. In this sense, The Problem of a Chinese Aesthetic is a brilliant mirror in which the aporias of any aesthetic as such are reflected back to us as an instigation for still further reflections.